Viewing 24 of 69 items. 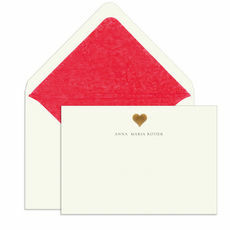 Featuring your imprint under a hand engraved heart design, this set of classic European stationery is produced in Prague, CZ by skilled craftsmen. Printed on high-quality natural white paper paper.. Featuring your imprint under a hand engraved Piano design, this set of classic European stationery is produced in Prague, CZ by skilled craftsmen. 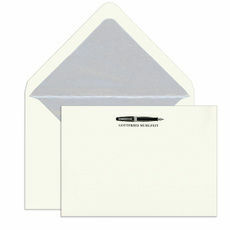 Printed on high-quality natural white paper paper.. Featuring your imprint under a hand engraved Silver Horse design, this set of classic European stationery is produced in Prague, CZ by skilled craftsmen. Printed on high-quality natural white paper.. Featuring your imprint under a hand engraved Martini design, this set of classic European stationery is produced in Prague, CZ by skilled craftsmen. Printed on high-quality natural white paper paper.. Featuring your imprint under a hand engraved Pineapple design, this set of classic European stationery is produced in Prague, CZ by skilled craftsmen. Printed on high-quality natural white paper paper.. Featuring your imprint under a hand engraved Violin design, this set of classic European stationery is produced in Prague, CZ by skilled craftsmen. Printed on high-quality natural white paper paper.. Featuring your imprint under a hand engraved Hot Air Balloon design, this set of classic European stationery is produced in Prague, CZ by skilled craftsmen. Printed on high-quality natural white paper.. 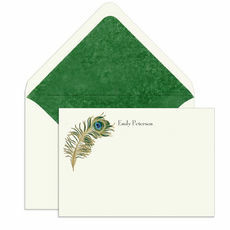 Featuring your imprint under a hand engraved Peacock Feather design, this set of classic European stationery is produced in Prague, CZ by skilled craftsmen. Printed on high-quality natural white paper.. 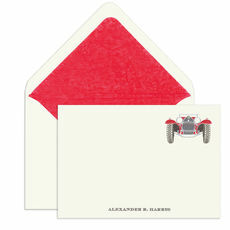 Featuring your imprint under a hand engraved Red Roadster design, this set of classic European stationery is produced in Prague, CZ by skilled craftsmen. Printed on high-quality natural white paper.. Featuring your imprint under a hand engraved Tennis Racquet and balls design, this set of classic European stationery is produced in Prague, CZ by skilled craftsmen. Printed on high-quality natural.. Featuring your imprint under a hand engraved Gold Sailboat design, this set of classic European stationery is produced in Prague, CZ by skilled craftsmen. Printed on high-quality natural white paper.. Featuring your imprint under a hand engraved Golden Cherub with Grapes design, this set of classic European stationery is produced in Prague, CZ by skilled craftsmen. Printed on high-quality natural.. Featuring your imprint under a hand engraved feather design, this set of classic European stationery is produced in Prague, CZ by skilled craftsmen. Printed on high-quality natural white paper paper.. 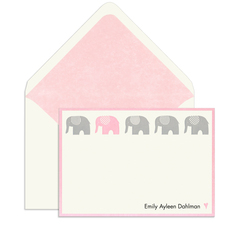 Featuring your imprint under a hand engraved elephant design, this set of classic European stationery is produced in Prague, CZ by skilled craftsmen. Printed on high-quality natural white paper paper.. Featuring your imprint under a hand engraved Topiary Trees design, this set of classic European stationery is produced in Prague, CZ by skilled craftsmen. Printed on high-quality natural white paper.. Featuring your imprint under a hand engraved Blue Bicycle design, this set of classic European stationery is produced in Prague, CZ by skilled craftsmen. Printed on high-quality natural white paper.. Featuring your imprint under a hand engraved Ginkgo Leaves design, this set of classic European stationery is produced in Prague, CZ by skilled craftsmen. Printed on high-quality natural white paper.. Featuring your imprint under a hand engraved Champagne Glasses design, this set of classic European stationery is produced in Prague, CZ by skilled craftsmen. Printed on high-quality natural white.. Featuring your imprint under a hand engraved Red Bicycle design, this set of classic European stationery is produced in Prague, CZ by skilled craftsmen. Printed on high-quality natural white paper.. Featuring your imprint under a hand engraved bumble bee design, this set of classic European stationery is produced in Prague, CZ by skilled craftsmen. Printed on high-quality natural white paper..
Bohemia Papers are created, manufactured and personalized in Prague. 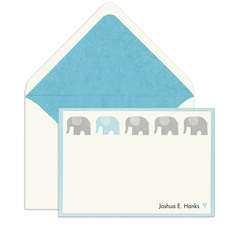 Every card features an impressively engraved design from stunning dies. The collection draws from an extensive library of historic engravings, antique maps, botanical and art nouveau designs. These are true works of art. 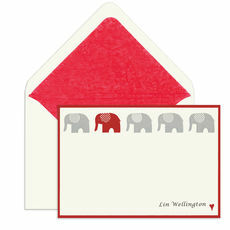 For those who appreciate the art of letter writing and quality old world style stationery, this handmade stationery is designed and produced in classic European tradition with printing methods dating back to the 16th century. You will be very pleased with the finished result on these cards as each and every design is truly spectacular.